You can find them in San Diego, Denver and Austin. And they may soon be coming to Chicago. A recent poll by Global Strategy Group found that more than 80 percent of Chicagoans want another option when it comes to public transportation. And more than 50 percent are willing to give scooters a try. “It takes them back to their early days of childhood,” said Nico Probst, manager of Midwest strategic development at Lime, a bike- and scooter-sharing company interested in coming to Chicago. In addition to that, Probst said the scooter also appeals to those looking for ways to travel to and from a bus or train station. “Because it is electric, the user doesn’t have to generate much work into the product, which makes it a good commuting option,” he said. Scooters from Lime and Bird, another company offering a similar service, have made their mark in cities across the U.S. They’re both offered through an app that’s connected to a credit or debit card. The app is then used to locate nearby scooters. Lime uses a bar code to let riders to unlock the vehicle. Once the trip is completed, the scooter – because it’s dockless – can be left at any bike rack or furniture zone of a sidewalk. But that’s what worries Ron Burke, executive director of the Active Transportation Alliance. 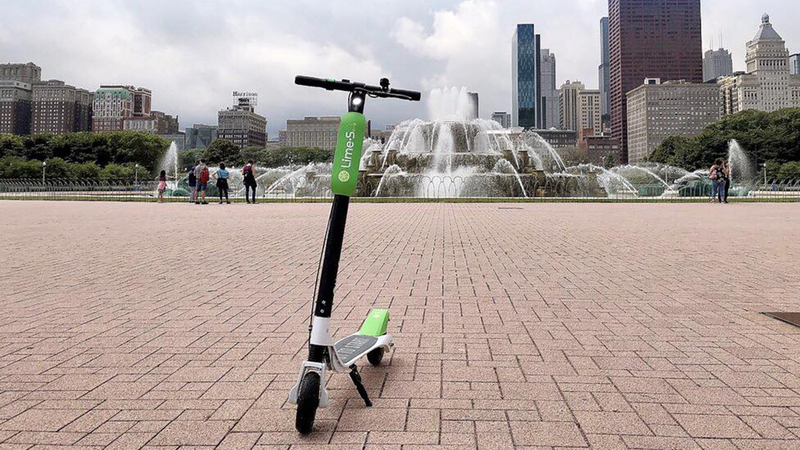 City officials plan to meet with leaders of Lime, Bird and other scooter-sharing companies in early December to hear how the devices could be integrated into Chicago streets, according to the Chicago Tribune. Probst and Burke join us to discuss how scooter sharing works and why some are skeptical.